You'll be £14.99 closer to your next £10.00 credit when you purchase A Wood Called Bourlon. What's this? After the great victory in the famous tank battle at Cambrai in 1917 the church bells, having been silent for three years, rang out joyously all over Britain. But within ten days triumph had turned to disaster. How did this happen and why? William Moore, a distinguished First World War historian, attempts to explain what went wrong. All the advantages gained were thrown away; thousands of British troops were captured and hundreds of guns were lost. Mr Moore has studied the evidence (much of it previously unpublished) contained in the inevitable enquiry that followed the disaster and he seeks to answer a number of questions. Was Field-Marshal Haig really as dour as he has been portrayed or was he a reckless gambler and was General Byng, whose troops and guns were captured, really a brilliant planner or a haughty aristocrat dedicated to proving that cavalry still had a place on the battlefield? 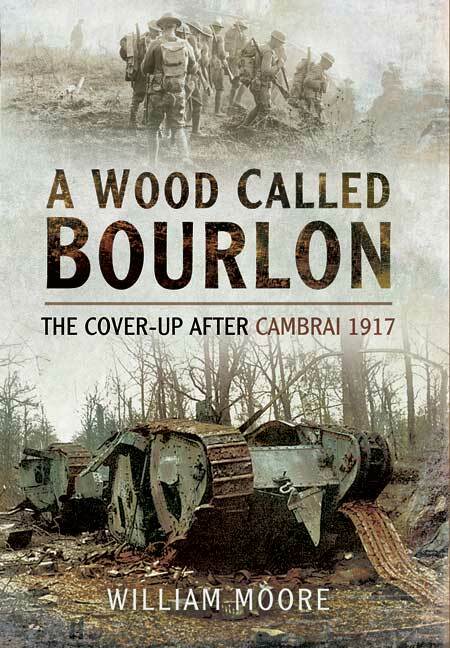 Any why were they both obsessed with capturing Bourlon Ridge on which stood the sinister Bourlon Wood? A Highland Division, a Welsh Brigade, a Yorkshire Division (twice), the Guards, Ulstermen, Lancashiremen, Londoners and Midlanders - all were drawn into the maelstrom in an attempt to consolidate the Cambrai victory. They failed. It was left to the Canadians to carry the Bourlon position in one of the finest feats of arms of the Great War. The British were always reputed to take a perverse interest in their own military blunders. This strange episode is one that most people have been happy to forget. All those involved in high places sought to make excuses: some indulged in a profound exercise of duplicity implying that the soldiers alone were to blame. Mr Moore's book throws new light on a dark episode in British Military History. The author has considered many factors to reveal the nature and outcome of the fight for Bourlon Wood. The book is well-written and supported by a useful photo-plate section. Fresh light is thrown on a dark episode in British military history. A rewarding read.